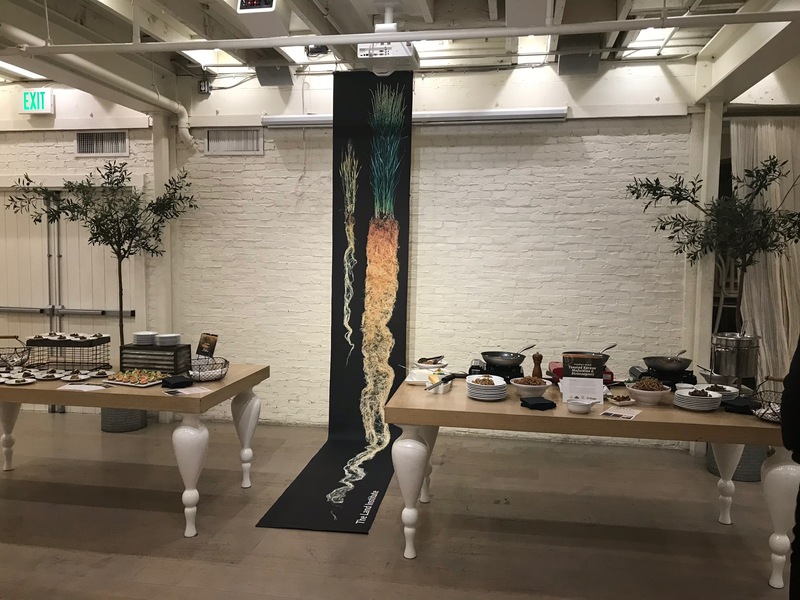 The banner on the right shows a full-size rendering of the Kernza® grain and its root! 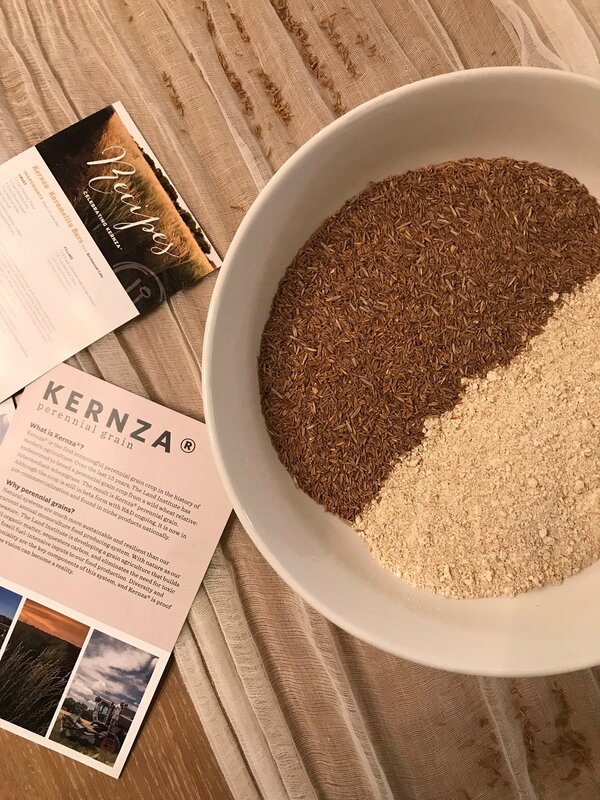 Kernza® is a perennial grain being developed by The Land Institute from a wild relative of annual wheat. With deep roots and year-over-year production, it builds healthy soil, sequesters carbon, and stewards water and nutrient resources. 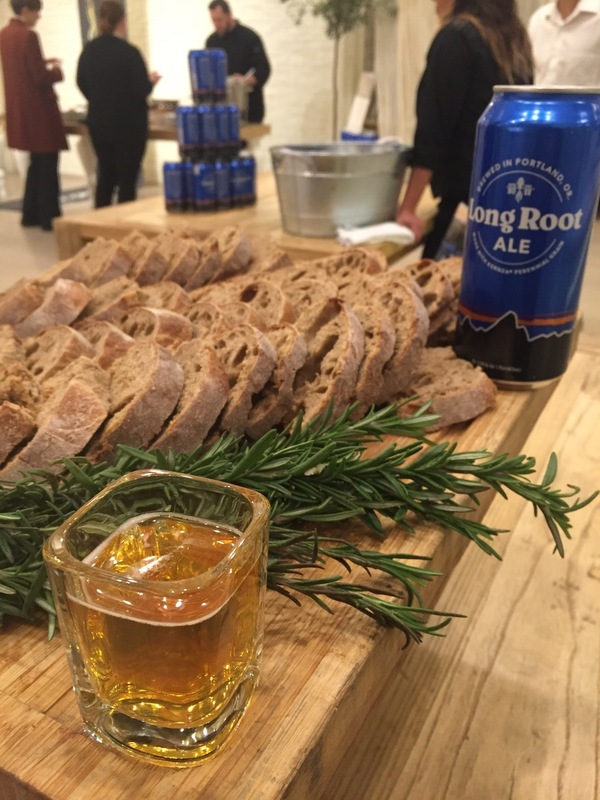 The sweet and nutty-tasting grain lends itself particularly well as an ingredient for brewing, baking, cereal and snacks which we demonstrated at a reception we partnered on with Cascadian Farm and The Land Institute at the Cooks Chapel within the incredible Packing House in Anaheim. 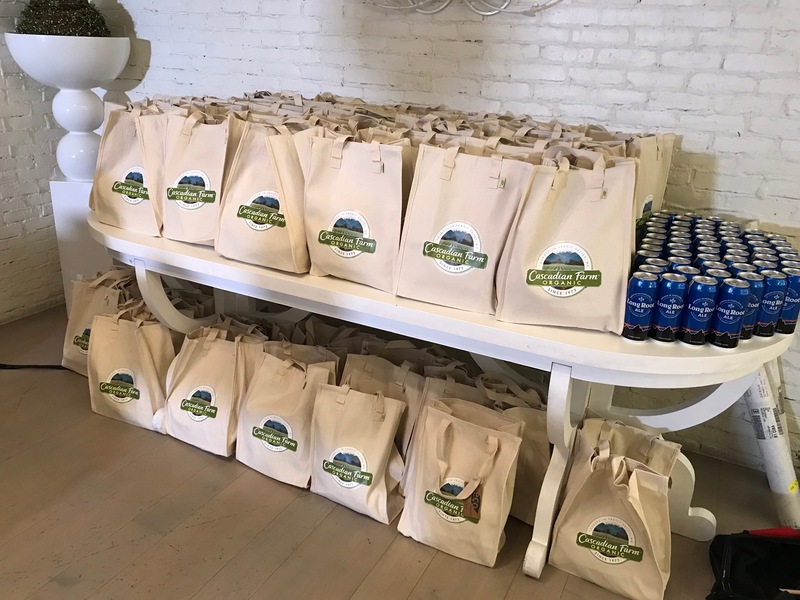 Attendees got to take home bags of both the Kernza® grain and the flour! 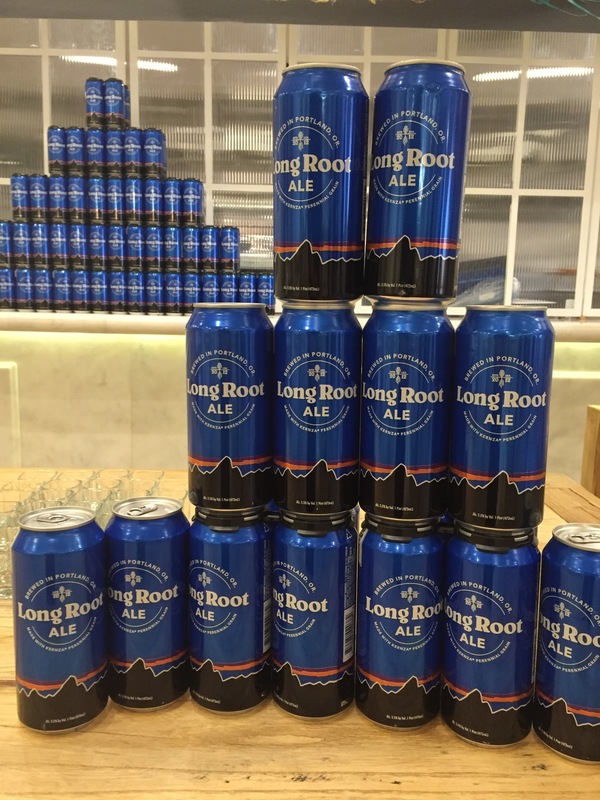 We got to sample a tasty beer made with Kernza® called Long Root Ale created by Patagonia Provisions. 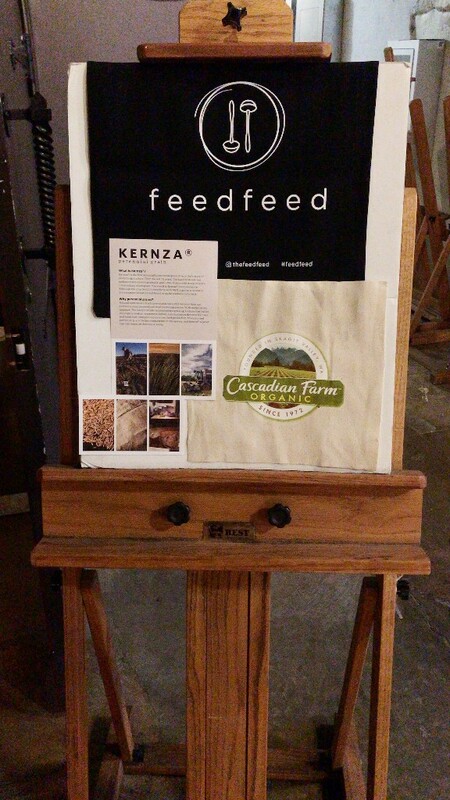 New Kernza® Cereal from Cascadian Farm. Toasted Kernza® Mafaldine and Strozzapreti from Dumpling & Strand. 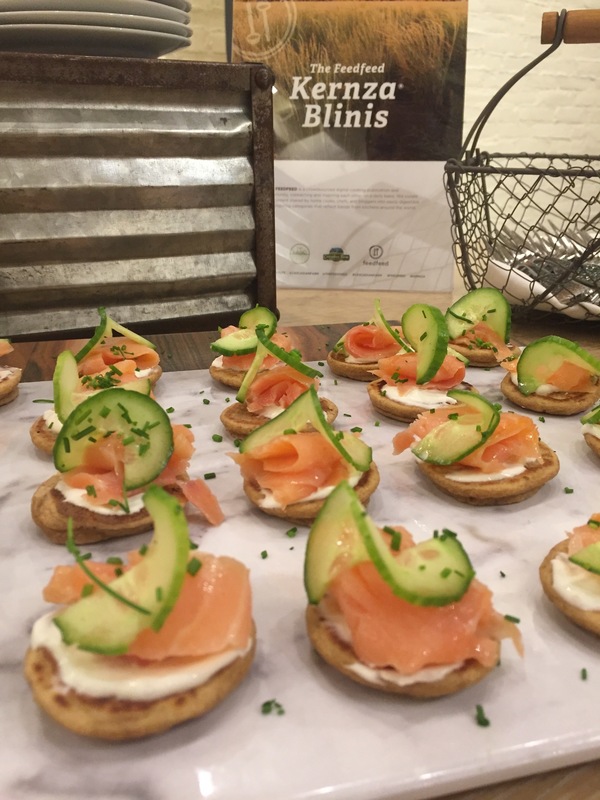 Kernza® Crackers, Sunflower Seed Pesto and Karamelita Bars from Birchwood Cafe. Sourdough Kernza® Bread from The Perennial. Kernza® Blinis with Various Toppings and Whole Grain Kernza® Salad with Radicchio, Cara Cara Oranges, Pistachios and Parmesan from The Feedfeed. The Land Institute is a 501(c)(3) non-profit organization based in Salina, Kansas, and founded in 1976. The Land Institute is led by a team of agronomists and ecologists in multiple partnerships worldwide, focused on developing new perennial grain, pulse and oilseed bearing crops and diversified cropping systems. This new agriculture will build soil organic matter, sequester carbon and eliminate the need for toxic and fossil fuel-intensive inputs to our food production. 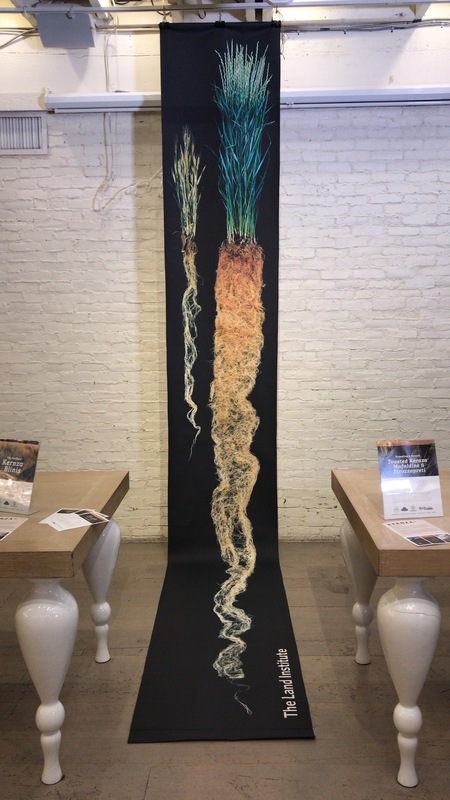 The Land Institute’s mission is to create an agriculture that will save soil from being lost or poisoned, while promoting a community life at once prosperous and enduring. 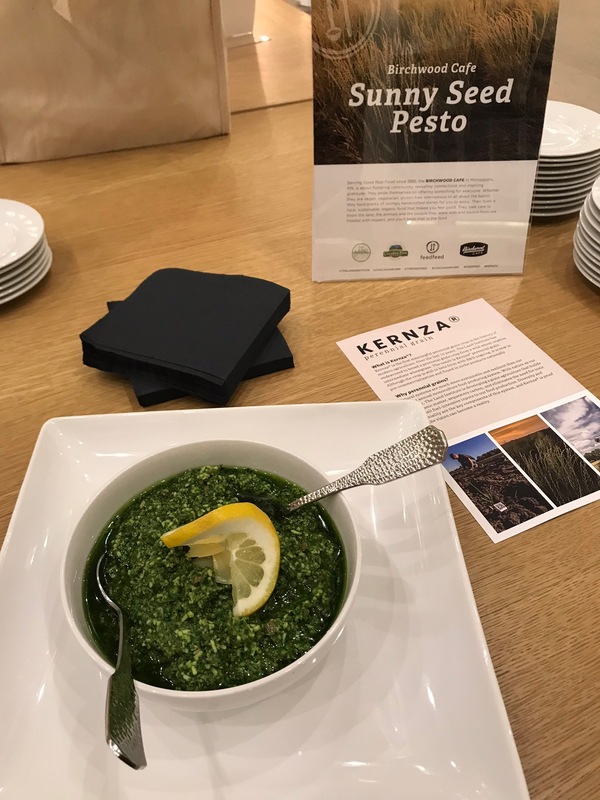 Kernza® is a trademark of The Land Institute, and is proof-of-concept that the organization’s vision can become a reality. Cascadian Farm has been a pioneer in organic since 1972, promoting food grown in partnership with nature, with a mission to leave farmlands they source from better than they found them. 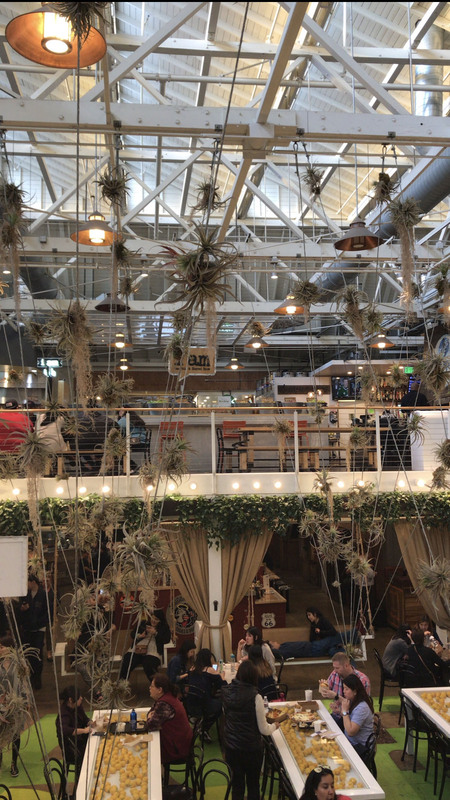 They go to great lengths to establish the most innovative growing methods that have a positive impact on ecosystems. From day one, they've farmed in a way that helps to preserve the soil, and safeguards the rivers and streams around us, working in harmony with the land. Cascadian Farm realizes they can make a difference beyond just the food that we produce. They work with partners developing perennial grains, creating and preserving pollinator habitat, conducting farm soil testing, hosting farmer field days, sharing organic best practices and helping to remove hurdles to advancing the organic movement. 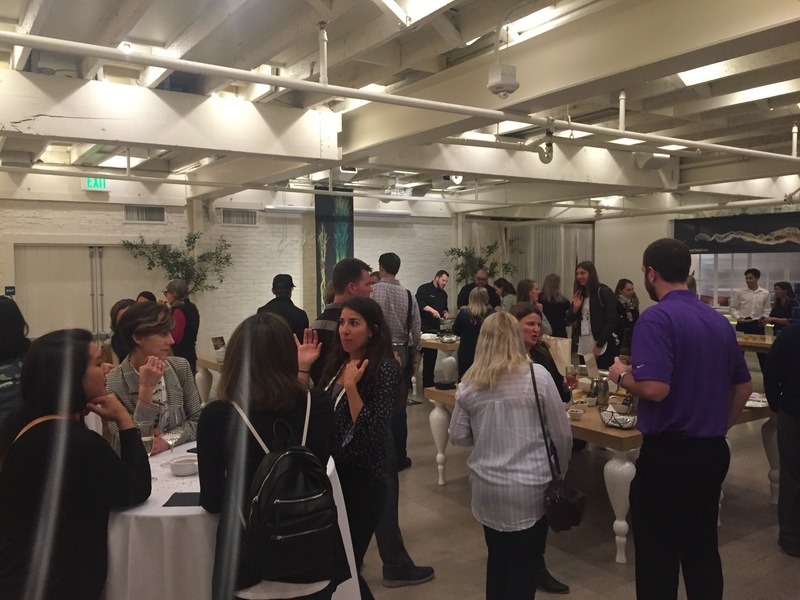 We had a wonderful time celebrating this exciting new grain with our California community. 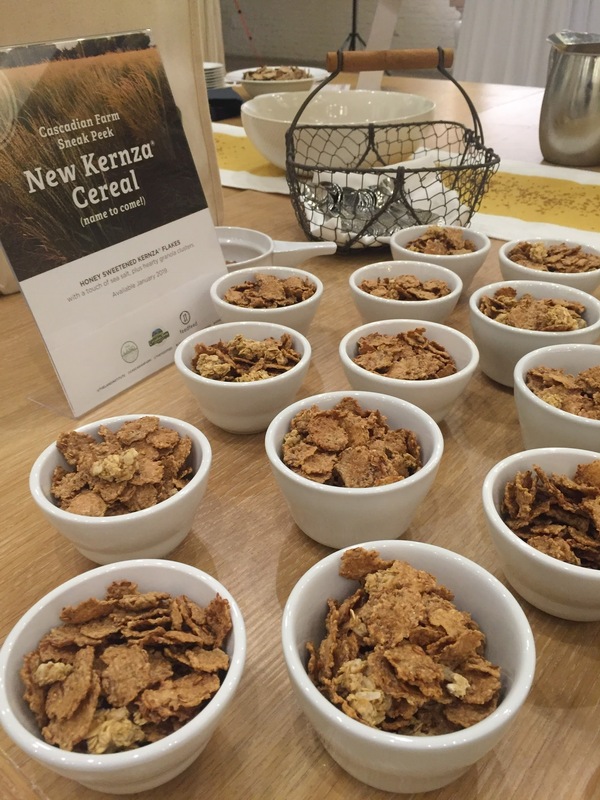 We look forward to seeing how it flourishes and to enjoying more treats made with Kernza® in the future!